Did you love to have fancy pencils as a kid? I remember being sooo excited whenever I got a new pencil that had something fun and fancy on the tip. Have you ever thought about making your own pencil topper? 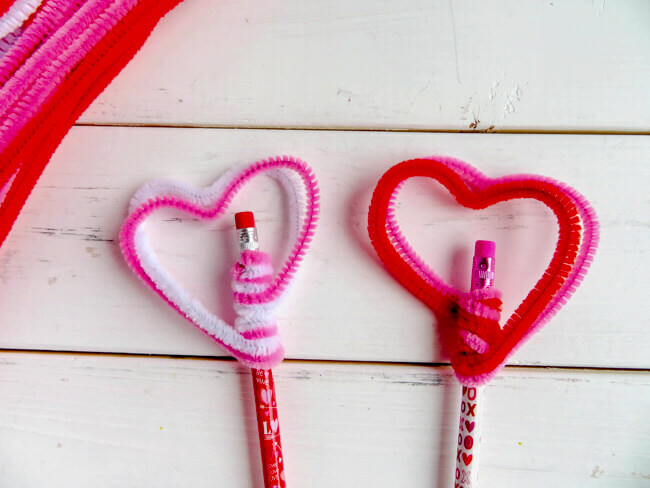 Well here is an easy and quick tutorial to make these adorable heart pencil toppers. 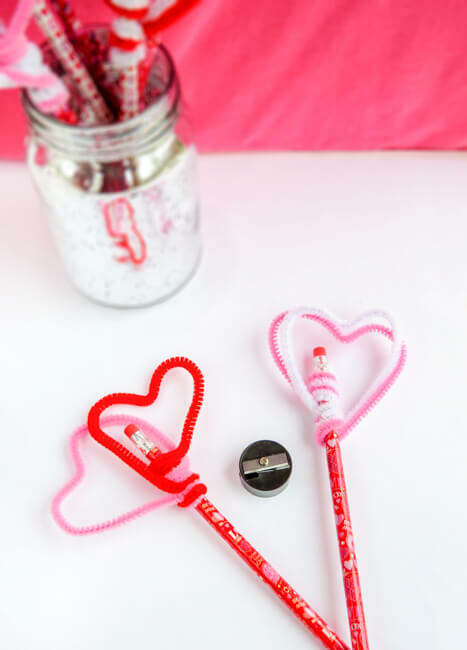 These heart pencil toppers are such a fun and easy craft for the kids to do! And I KNOW your kids will love writing with these pencils. Especially for Valentine’s Day! With Valentine’s Day leading up, you’re probably starting to think about Valentine’s Day cards. Well these would go perfectly with any card you’re giving away. We actually have two different free printable Valentine’s Day cards you can choose from. 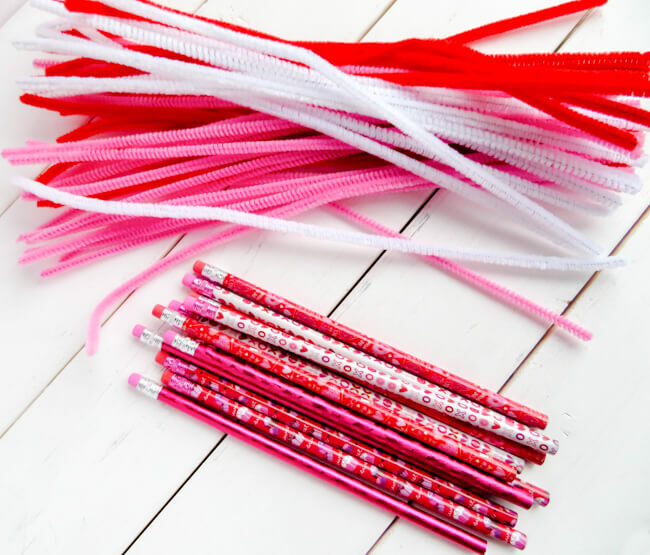 Just print them off and include them with these adorable pencils + pencil toppers! 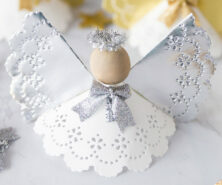 There are cute kid-themed cards and we also have vintage inspired cards. Both free to print from your home computer! 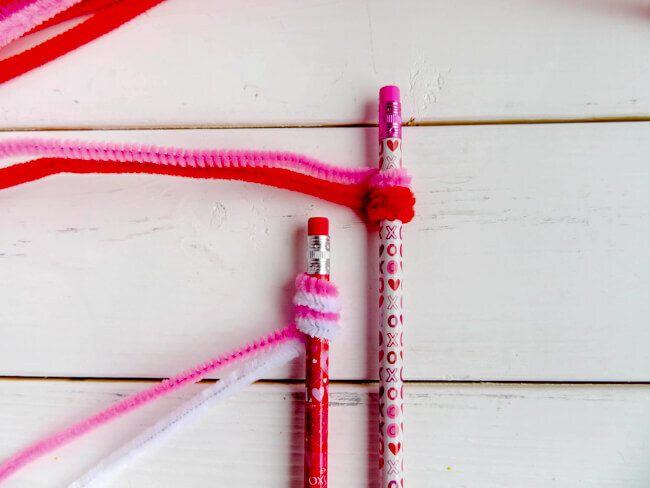 Using 2 pipe cleaners, wrap the ends around the top of the pencil 2 times. 3. Finally, press down in the top center to form the shape of a heart! 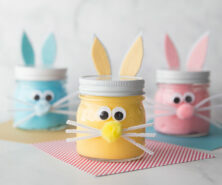 These are great for favors, gifts or even parties. 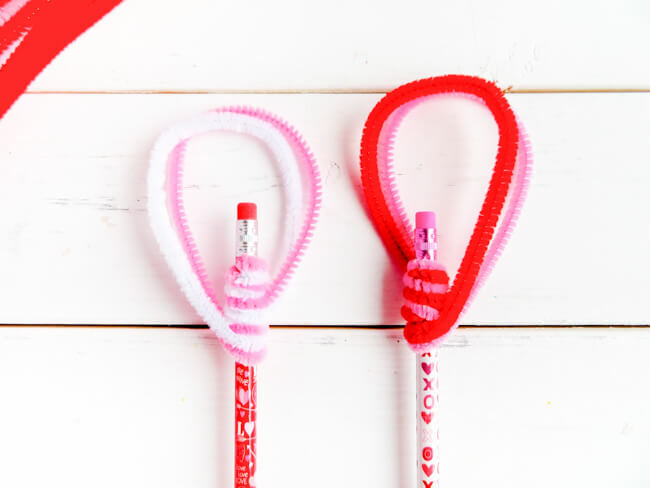 You could make these in a class as a class craft and then everyone can have heart shaped pencils to use for the week leading up to Valentine’s Day. You could also try doing other shapes like a square and have a challenge to see who can be the most creative designing something for their pencil! 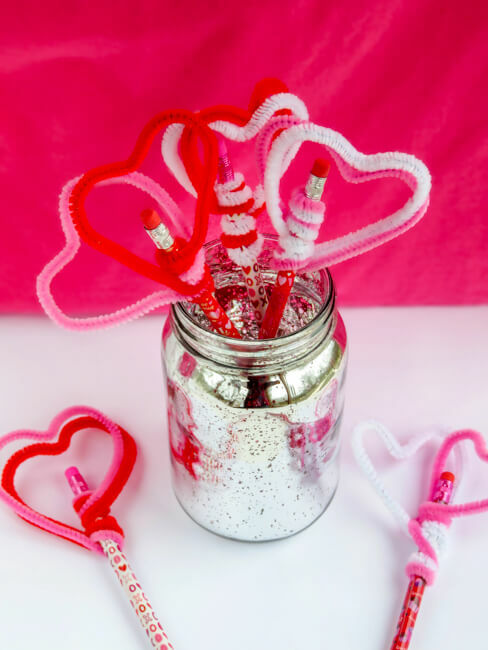 Looking for another fun Valentine’s Day craft? 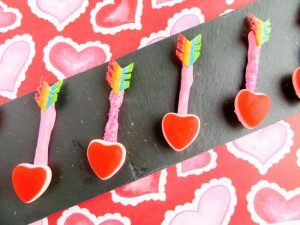 Try making these easy Cupid Arrow Treats! 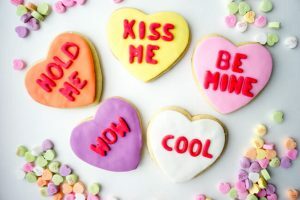 Or try these Conversation Heart Cookies – so fun and easy to make! 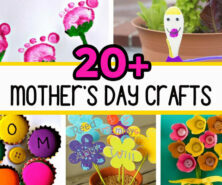 This was a fun and easy craft to make with my daughter. We are giving the pencils to her siblings for next week. Thank you!